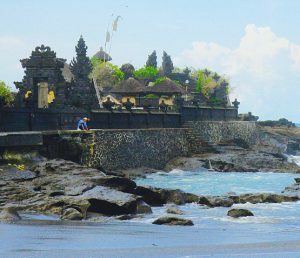 Tanah Lot is a rock formation next to Ambalama and is a popular tourist and cultural attraction due to the temple built upon it. The main deity of the temple is Dewa Baruna or Bhatara Segara, who is the sea god. The temple has been a part of Balinese mythology for centuries and is one of seven sea temples around the Balinese coast. Many of our guests enjoy the temple as a backdrop for wedding photos since the temple sits on a large offshore rock. 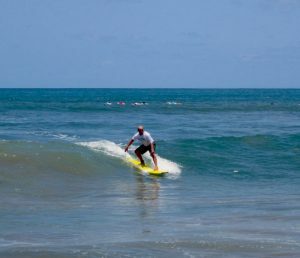 Echo Beach / ‘Pantai Batu Mejan’ is one of Bali’s most loved surf spots due to its advanced reef breaks, 180-degree seascape and beautiful sunsets. 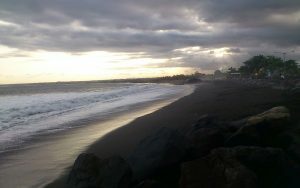 If you're not an avid surfer, you can still enjoy the black-sand beach and have some delicious food at one of the many seaside cafes. Echo Beach is a popular evening destination for locals and tourists alike. 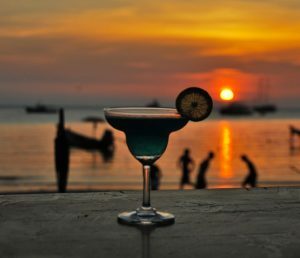 Have a drink or dinner with your friends and family as the sun sets over the surf-side location. One of the things that makes this so appealing is the outdoor beach tables along with the fresh food, including: prawns, lobsters, imported steaks, ribs and fresh, organic salads. 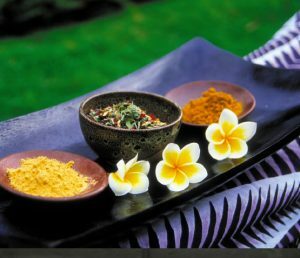 Nirwana Spa at the Pan Pacific offers a complete line of products and treatments that's delivered with individualised service. This five-star spa is the perfect place to unwind, escape and rejuvenate while you're outside the villa. "Enjoy true wellness in a soothing environment amongst complete serenity." 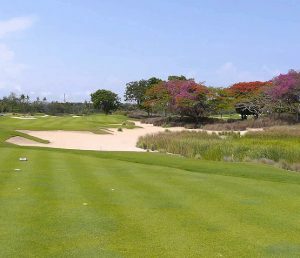 Nirwana Golf Club is an award winning, picturesque golf course close to Ambalama. Besides being a visual masterpiece of panoramic ocean views and lush Balinese landscapes, it is also a spectacular adventure for golfers of all skill levels. Test your skills along the cliffs of the Indian Ocean or against the unique terraced rice paddies hazards. No matter how well you play, the course provides the ultimate golf experience. 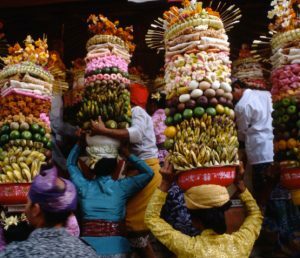 Observe daily life in a small Bali village when you take a tour of Cemagi. You will have the chance to learn more about local activities and Balinese culture as well as visit a traditional housing compound, which follows a strict ancient architectural guide that is a product of Hindu and Buddhist beliefs, fused with Austronesian animism. 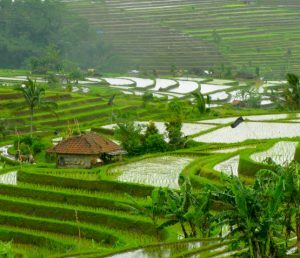 Walk through the quiet village back roads and rice paddies of Cemagi, while being surrounded by the distance views of misty Mountains. Along the way, you will likely see farmers tending to their crops and will get a better understanding of the traditional irrigation system used. Bali has some striking black sand beaches on the north and western shorelines, with undisturbed coves. Once the haunt of surfers, Bali's black sand beaches are now a welcome spot for visitors looking for a nice outing. Let our staff tell you their favourite spots so you can enjoy the scenery without the crowd.